There was lots of buzz going around in the blogosphere about the Penguin algorithm, but there is a twist in the story. Recently, Google has confirmed that the Panda Algorithm is renewed from 3.9 to 3.9.1. According to the Google officials, the improvement was minor and affected less than 1% queries on the internet. From our sources, a Top SEO Blog Search Engine Land emailed Google, after hearing news of algorithm update and Google twitted back to confirm the news. Nevertheless, we should be ready to fight because Google can roll out updates any time. So, today we will go in the depth of the recent Panda up-gradation and would discuss its precautions. However, the current Panda 3.9.1 which was rolled out on 20 August, 2012 is not that much threatening. It hardly affected 1% search queries, which give us the signal that counting of spammers is reducing, and the time is near when the internet will be free from spam. Following is the screenshot of Google’s confirmation about Panda 3.9.1 Algorithm update. If you are gaga about Google algorithm improvements, then you may have noticed penguin hardly gets an improvement. Updating Panda more consistently gives birth to numberless question. Why they upgrade Panda More than Penguin? We can answer all these questions in two words, Google update it more frequently to REDUCE SPAM. World of the internet is full of spammer, so Google’s intention is to eliminate content spammers as soon as they can that’s why they are updating panda algorithm much more than penguin algorithm. Last week at the SES San Francisco Google’s Matt Cutts confirmed that the Penguin would be jolting, and are likely to target on the large scale. 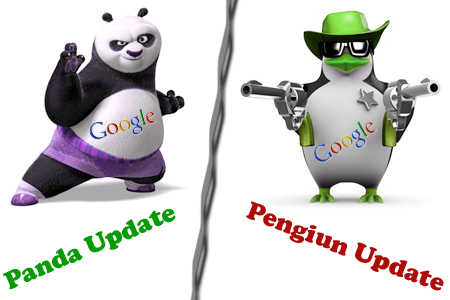 According to the facts Google hasn’t refreshed Penguin since 1.1 algorithm update was rolled out on 25th of May. Still lots of bloggers are confused about penguins, but it will target those blogs which are either building with spam tactics, or are violating Google’s guidance for quality content. Why Your Site Loss Traffic After Panda Update? The only reason behind the loss of traffic after the panda update is the lack of quality content on your weblog or website. Content is the main ingredient if you want to survive it without any problem whatsoever. Google is not your opponent neither they expect anything back, by penalizing your blog they are giving you second chance to get back to the right side of the path. Until we list few useful tips this article would look a little bit dull, so following are the few tips and techniques that will allow you to survive Panda updates with ease. Our main concern should be content, so spend your time in building content rather than building low quality backlinks. Try to be as unique as possible because if you copy others hard work Google will never ever rank you higher in the SERP. Moreover, you will get penalize for doing overdosed Plagiarism. Try to refresh your blog's content on daily basis, at least publish 7 Article a week to keep the Crawlers active and interested on your blog. That's IT. last 2 Days I have seen that my blog Traffic Increased Significantly. It look like my competitors affected by panda thanks Panda. interesting information. i think it is true for all blogging sites out there.